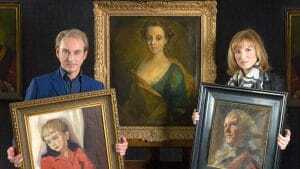 Every picture tells a story, but in Fake or Fortune?, valuable paintings are about to be treated as crime scenes! Beyond the genteel galleries and upmarket auction houses of the art world lies a dimension rarely seen – a darker side of incalculable wealth, social ambition, and sometimes subterfuge. In this engaging series, a recognized art sleuth, a doctor of history, and cutting-edge scientists join forces to discover the truth behind controversial paintings. From Paris and Amsterdam to Cape Town and New York, the team employs old-fashioned detective skills, real-time investigations, and the latest forensic testing to reveal compelling tales of lost masterpieces, forgers, and Nazi-looted art.